M. Susan Savage is a native Tulsan elected as Tulsa’s first woman mayor in 1992. 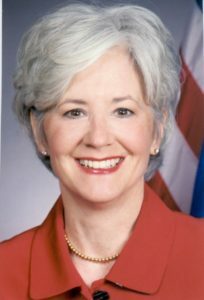 Her unprecedented tenure of service as mayor ended in 2002, after which Savage was appointed Oklahoma’s Secretary of State by Governor Brad Henry from 2003 until January of 2011. Savage has been recognized locally and nationally for her decades of public service, organizational management, and her leadership. 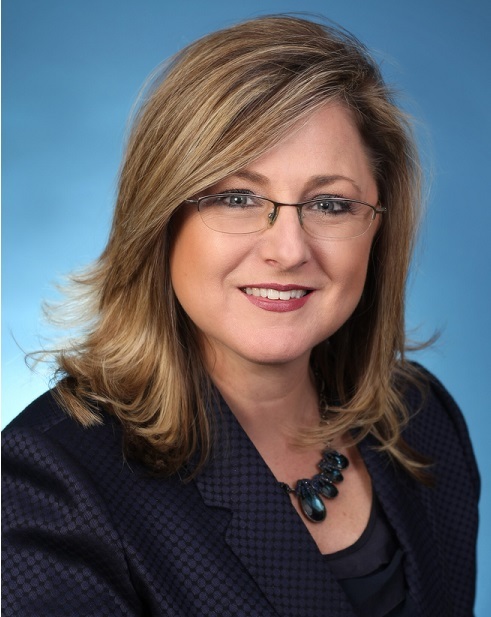 She currently serves as the Chief Executive Officer for Morton Comprehensive Health Services, the largest health center system in northeastern Oklahoma. Savage’s leadership and management expertise as Tulsa’s mayor produced a decade of job growth, community revitalization and improved standards of living, financial stability and long-range planning, public safety enhancements and environmental initiatives. She was one of eight U.S. mayors selected by the Aspen Institute to join French and German mayors to discuss the impact of globalization on cities. President Bill Clinton appointed Savage to the President’s Council on Sustainable Development and to the National Recreation Lakes Commission. Savage was recognized by Newsweek Magazine as one of the nation’s “25 Mayors to Watch” for her leadership in addressing air and water quality issues. Savage served as the city’s and state’s chief diplomat for international relations, advanced and implemented policy initiatives from health care and education to infrastructure and government reform. As Oklahoma’s Secretary of State, Savage served as a member of Governor Henry’s cabinet with broad policy and executive duties at the federal, state and local levels. Her service includes decades of appointments to community and civic boards. Savage was honored by the Oklahoma Center for Community and Justice for leadership and for promoting diversity, tolerance and freedom. She has received Honorary Doctorates from Oklahoma City University and her alma mater, Arcadia University. She has been inducted into the Oklahoma Hall of Fame for City and Town Officials, Oklahoma Women’s Hall of Fame, and has received the Peace & Dialogue award for government service from the Institute of Interfaith Dialogue. Savage currently resides in Tulsa, where she has served as Morton’s CEO for two years, leading an organizational realignment that has resulted in unprecedented stability and improved service delivery. She is the mother of two exceptional young women, claims a terrific son-in-law, and is the proud grandmother of two. Saunya Moore is Vice President for Finance and Administration at Morton Comprehensive Health Services. She directs the organization’s financial planning and accounting practices as well as its relationships with lending institutions, stakeholders and the financial community. She will function as the primary liaison with the Board of Directors on all financial matters. Before joining Morton, Moore served as CFO for Parkside Hospital and Clinic, and Catholic Charities. She also was instrumental in fundraising and development activities at both organizations. 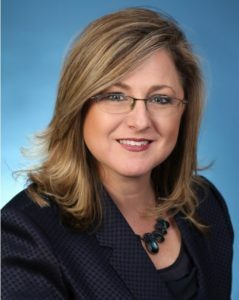 She is currently a board member of the Porta Caeli House and the Tulsa Advocates for the Protection of Children and a member of the following organizations: American Institute of Certified Public Accountants, Healthcare Financial Management Association, Oklahoma Hospital Association Council on Finance and Strategic Information, and the Oklahoma Society of CPAs. In 2015, Moore was selected as the 2015 Trailblazer by the OSCPA. Moore is a graduate of Oklahoma State University with a MBA and a degree in accounting and Tulsa Community College with associate degrees in business and psychology. Dr. Susan Mehnert–Kay provides leadership and oversight for all medical and related clinical services for Morton Comprehensive Health Services locations across northeast Oklahoma. She also directs the Community Health Center’s Teaching Health Center (THC) for family practice residents in coordination with the University of Oklahoma School of Community Medicine in Tulsa. Morton’s receipt of the award from the THC Health Resources and Services Administration of the U.S. Department of Health and Human Services is one of the first in the region. Additionally, Dr. Mehnert-Kay oversees all family medicine services. She graduated from Oklahoma State University with a bachelor’s degree in Biomedical Science and received a medical doctorage degree from the University of Oklahoma. She completed a three-year residency in Family Medicine at the University of Oklahoma in Tulsa, serving as chief resident. During the first 21 years of her career, Dr. Mehnert-Kay served as a professor at OU’s Family Medicine residency program, as she saw patients in a private practice in the now University of Oklahoma’s School of Community Medicine in Tulsa. Dr. Mehnert-Kay is Board-certified in Family Medicine, a member of American Academy of Family Physicians, American Medical Association, Oklahoma Academy of Family Physicians and Tulsa County Medical Society. Additionally, she has served as the volunteer medical director of the SANE program in Tulsa for over 20 years. Cassie Clayton as the Chief Nursing Officer provides leadership and direction for Morton’s nursing staff in all its health centers. Her goal is to assure continuity and consistency in the community health center system’s nursing care, while overseeing the implementation of significant clinical and organizational quality initiatives. Clayton also helps Morton’s system sustain a focus on key community outreach and education initiatives. 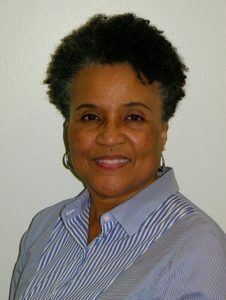 Previously, Clayton served as the director of Nursing and in the role of Nursing Supervisor with the University of Oklahoma’s School of Community Medicine. She is a member of the board of directors for Birthright and the McClain Foundation. Clayton is a Board Certified, Registered Nurse and she is also certified in Advanced Cardiac Life Support (ACLS) and Basic Life Support (BLS). Clayton is a respected speaker, often presenting at events like the Residency Program Services Conference and the Black Executive Exchange Program with the Metropolitan Tulsa Urban League Young Professionals. She is a graduate of Oklahoma Wesleyan University, Tulsa Community College and Tulsa’s Area Vocational School.